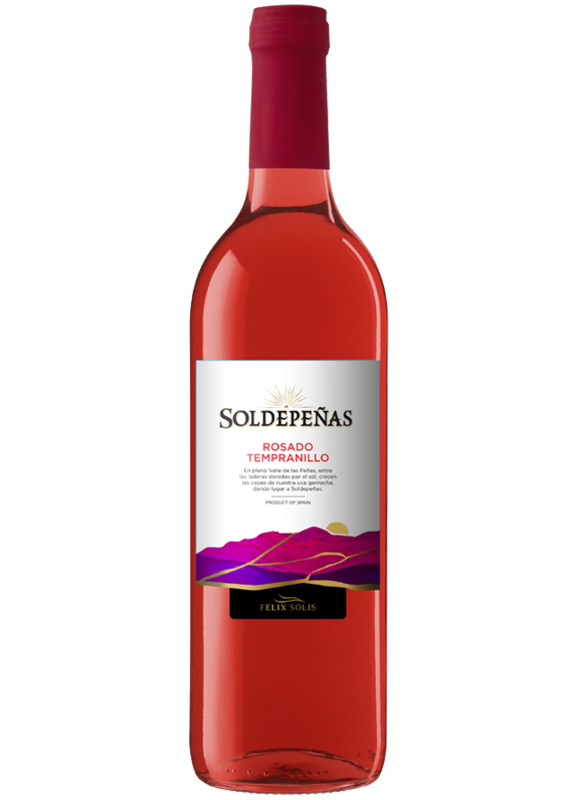 Soldepeñas Rosé takes its name from the place where it has been elaborated: the sunny Valley of the Rocks, the ancient name of Valdepeñas, by the river Jabalon’s banks. The wine is made from Tempranillo, the indigenous grape from Castilla-La Mancha. A characteristic rosé: light, clean, fresh and fruity. It maintains Tempranillo’s original aromas of red fruits. It has a well-balanced palate, refreshing and with a long-lasting finish. Ideal with seafood, fish dishes and soups. The grapes undergo strict controls on the vineyards to determine the correct moment to be harvested and transformed into a wine with the right amount of sugar and acidity. The must macerates in contact with the skins for 8-10 hours. Fermentation in stainless steel tanks at 16-18oC for 10-12 days results in a light, clean and fruity wine.